Syflex is now available on Cinema 4D! 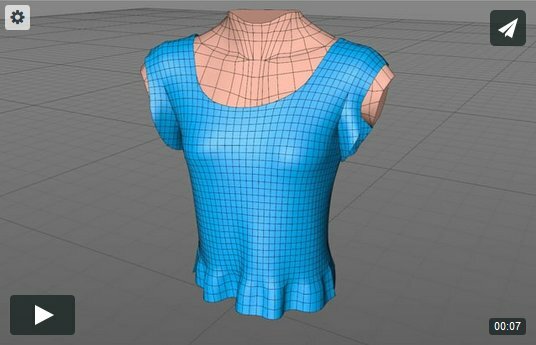 - Apply the syflex deformer on a mesh object. - Then apply gravity, damping, add collisions with the body of the character. - Then press the "play" button to see the animation. Syflex implements an extremely fast and accurate solver. It gives all the necessary controls to easily animate any material: cotton, silk, denim or leather. Its perfectly stable algorithm lets you animate characters performing any slow or fast action: walking, running, dancing, jumping ... It can also be used for soft bodies like tires, balloons or masks. Here are a few animations showing Syflex in Cinema 4D. 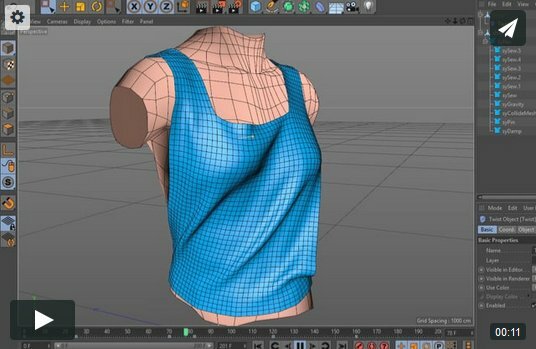 Simple simulation of a cloth running in Cinema 4D. The cloth is driven by the collisions with the body. The animation is not cached (real time). 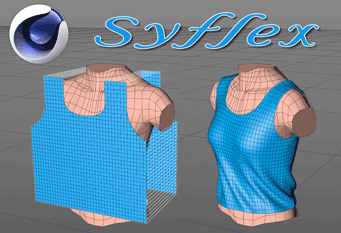 Screen recording of Syflex in Cinema 4D (no cache). 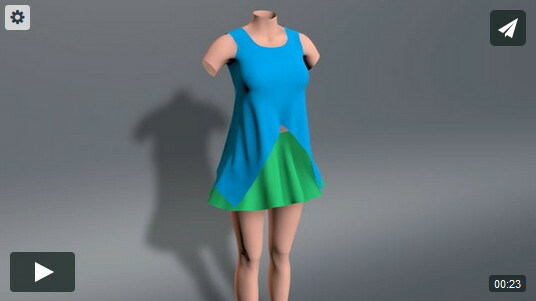 Shows a basic pattern with 8 seams. Two layers of cloth and four seams. Skirt is pinned on the body.